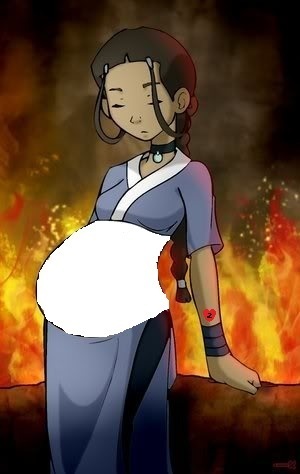 Katara Pregnant. katara is pregnant. Wallpaper and background images in the Zuko and Katara club tagged: katara zutara zuko firebender waterbender avatar the last airbender. Katara and Zuko's child I hope..
of course it is Zuko's baby! she is in love with him....that is why she has the hear and Z tat. ewwww gross the only person who should have aangs child is toph they are so cute together. this is a real wierd picture for me but great job!! !